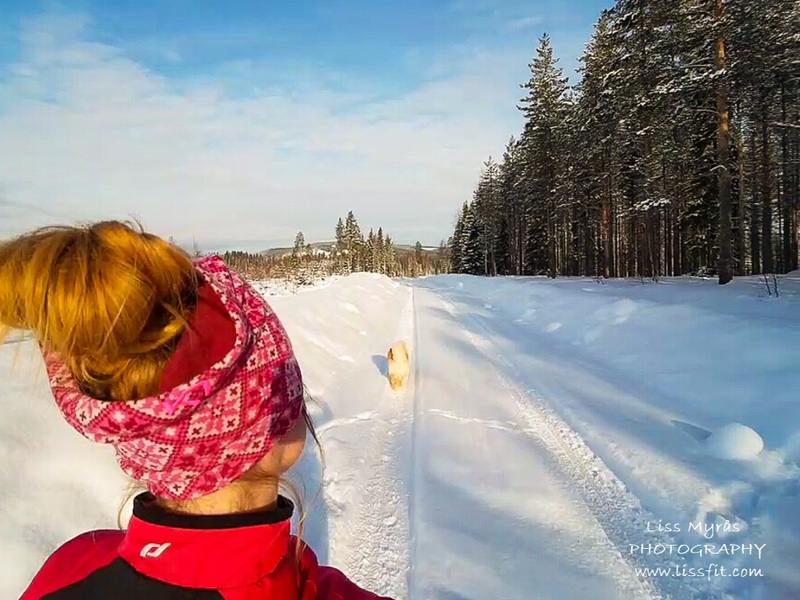 And finally I have to admit to myself that I do miss running a little bit .. skiing is still absolutely awesome, but once a runner, always a runner – it is probable time to slowly implement the running in the training regime again – since I now also think my heel has healed. It had started to smoulder a bit when I just let the cross-country skiing take over for a while so the heel could rest. Love to see my puppy Jenta run like a lil’ racer in fluffy snow.. she really is a winter dog! Someone had been driving here, recently so we could run in the car tracks. So today me and puppy went out for about an hour of calm running. Sunny, only about -6 cold and new roads to explore – which soon changed into a narrow fluffy snow trail going slightly uphill. Awesome! 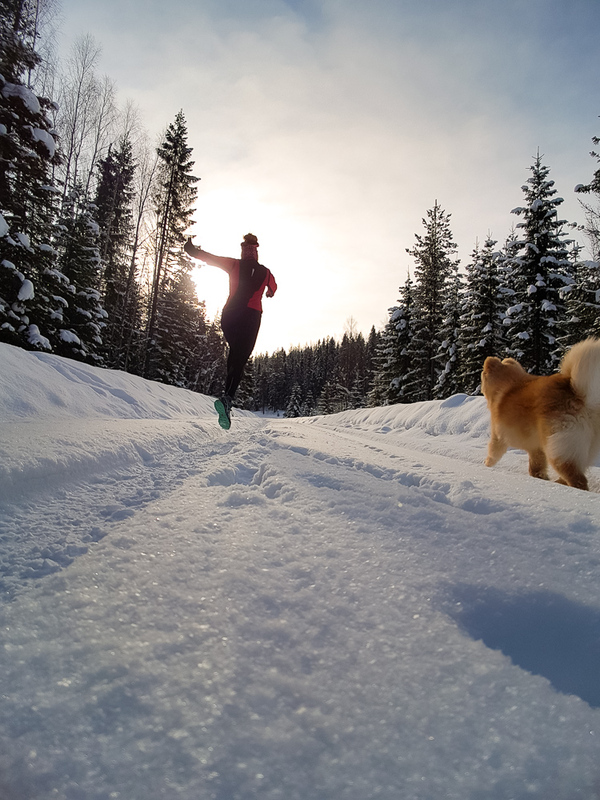 And it is of course a joy to discover that my cardio and fitness level are maintained almost intact – much thank’s to skiing. Tip for runners! 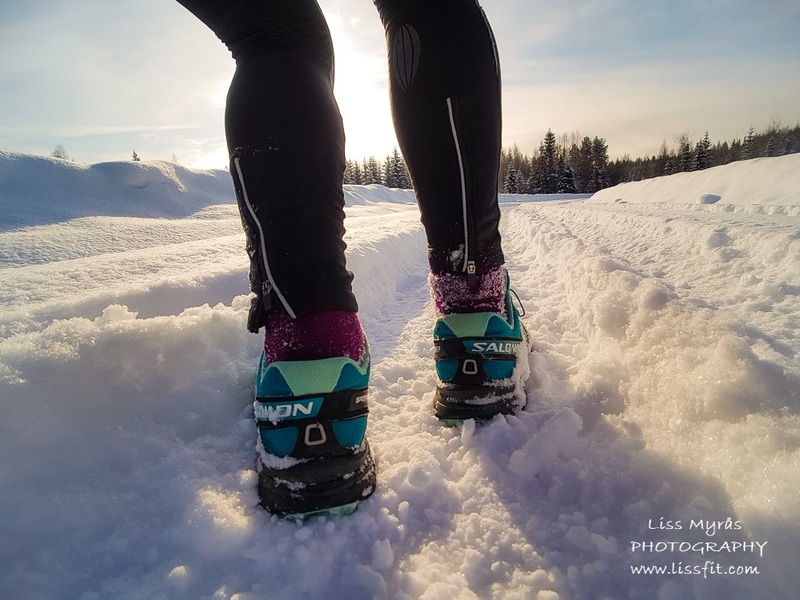 Years ago I asked the best and fastest runner girl I have ever known what she believe is one of the biggest contributors to why runners do end up injured – and she said that people change their running shoes far too often! So, I guess that’s why still use these really old quality trail running shoes – and will do so untill they fall apart!